Tree Map and sunburst visualizations are great for visually representing hierarchal data. We can add this new chart types like same way we add other charts. Design -> Right-click on report body -> Insert -> Chart -> Shape -> Tree map / Sunburst. In this article, let us see on how to move data from another computer over internet to SQL Server instance on virtual machine using SSIS. In this post, let us also see on how to import JSON file on local computer to SQL Server on VM through this example. In this article, let us see on how to import JSON data into SQL Server table. Using OPENROWSET is one of the option to bulk load JSON data into SQL Server table. In my previous post, I shared some examples on Converting relational data to JSON data in SQL Server. In this post, let us see examples for converting JSON data into relational data format. In this article, let us see steps to get started with SQL Server Reporting Services (Report Builder 2016) on Microsoft Azure SQL Server Virtual machine. To create & connect to SQL Server VM, refer my previous post. In this article, let us see steps to connect to SQL Server on VM over Internet. Consider the requirement is to generate index script for tables that belong to particular schemas and export as separate .sql files. 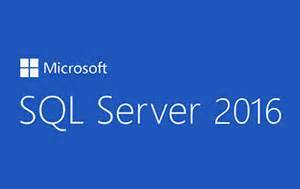 In SQL Server 2016, one of the SSMS enhancement is option to compare query execution plan. In this post, let us see step by step instructions on how to create SQL Server Virtual machine and connect to SQL Server. In this post, I will share with you on how I have exported xml returned from a Stored procedure as xml file in a folder using SSIS. I have shared in my facebook group (SQL Server Network) on how to import facebook data using POWER QUERY. To look into my previous posts on Microsoft Azure. We can enable SQL Auditing on Azure portal in Database level as well as in Server level. Before enabling SQL Auditing, we need to create Storage for Audit logs. To look into my previous post on connecting to Azure SQL database.